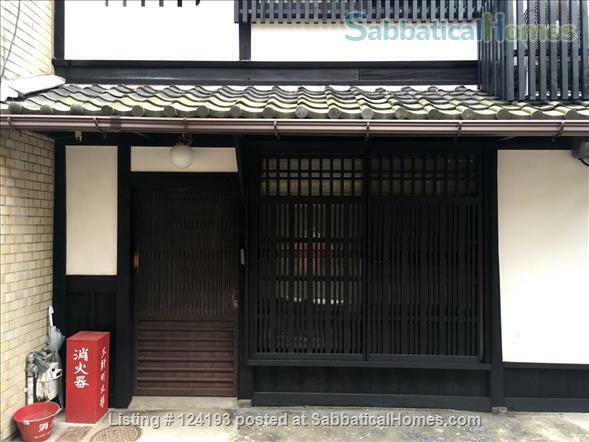 This house is located at 10 minutes walk from Kyoto central station and the subway, 5 minutes from Shichijo Keihan train station. Located in the neighborhood of Kyoto station it is connected to the different networks that you may need to discover Kyoto city. 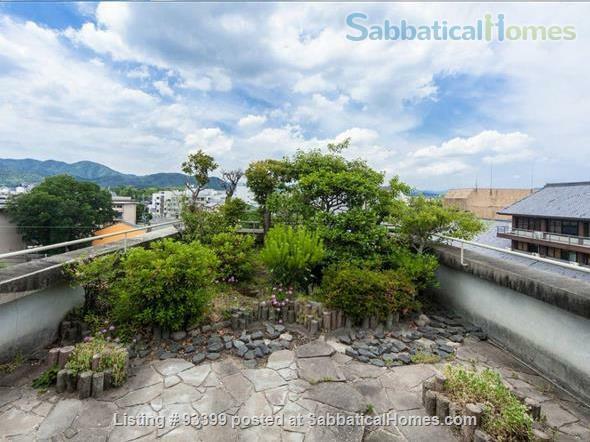 It is 2 minutes walk from the river, on Higashiyama district. The house has 2 bedrooms on 2 floors, thus allowing to have some privacy, which is rarely the case in Japanese houses. It has been fully renovated by an architect and a designer, in order to create a cocoon like environment, a retreat hidden in a small alley. Its heated floor and well insulated walls makes it very comfortable in winter and in Summer too. The decoration is inspired by the Japanese train culture, as the railways are located at about 150 meters from the house, and the train can be seen passing from the 2nd floor windows. Trains stops around midnight so you have to know it if you are very sensitive to noise. The house is rented with a monthly contract, even for shorter terms. Price is negotiable varies depending on the season and the occupancy. Architect and scholar living in Kyoto. Study and help restoring Japanese houses.